When I first saw the Letterboxing badge in my daughter’s Brownie book, I had this thought: What is Letterboxing? Letterboxing is kind of a live-version Clue. (Think geocaching without the technology.) This English game date backs to the 1800s but came to North America only recently, boosted in part by an article in Smithsonian magazine. 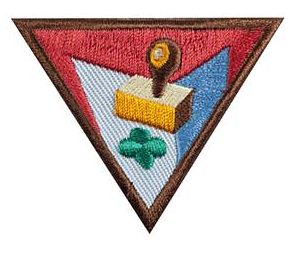 I first learned about letterboxing when I was a Brownie leader and stumbled on a Letterboxing Badge. My first instinct was “What the heck is letterboxing?” And I’ll admit to being hesitant when my co-leader suggested we explore the badge. As I’m the type of Girl Scout leader who tests everything out before she inflicts it on her scout troop, I did some digging and took my children on a letterboxing hunt in one of our local parks. From the Parking area, follow the paved path East until you come to the Welcome area. (A sign is posted noting it as such.) Going straight in from the path as far as you can, check behind the shrub just to your left. The Ponies left some math for you to do! What we discovered – when we were able to find the letterbox (there were admittedly a few duds) were stamps and a log book for past visitors to mark their trail. My daughter took her ink pad and made a copy of the stamp in the letterbox in her letterboxing journal. For kids who normally take long hikes at a set pace, it was definitely a different feel but made for an enjoyable and unique family afternoon! Clues. Be sure to get these in advance of your meeting – and I’d advise a test run so there are no disappointed scouts! 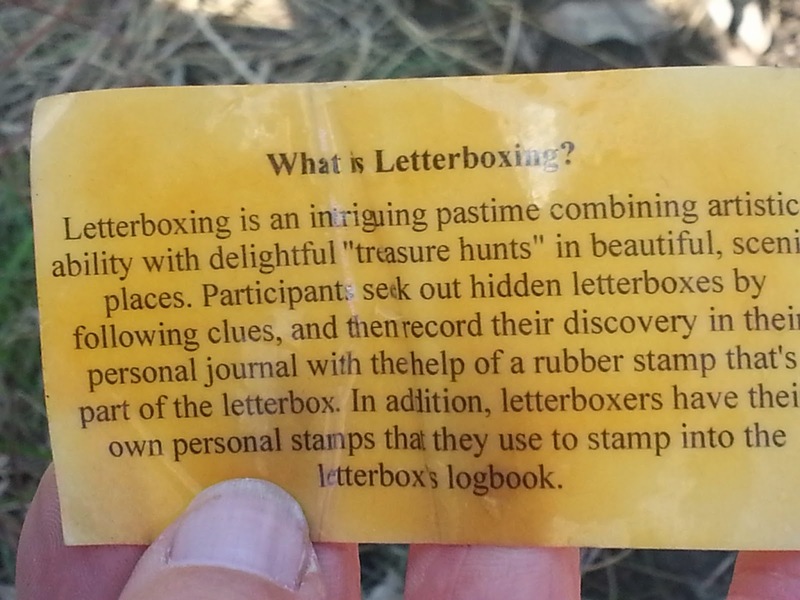 Two sites to check out letterboxing locations in your city are http://letterboxing.org and http://www.atlasquest.com/boxes/directory/us/. A small notebook or journal to mark where you’ve been along the way! Have you gone letterboxing before? Share your tips below! Post originally published at Going Green in Indy. Recently found a Brownie box hidden near a church in Texas. Hope the girls enjoyed making the box and will become avid letterboxers. What fun!!!! I’ve never heard about it before but love the idea of incorporating it into our homeschool! I have never heard of Letterboxing, how neat! I just checked to see if there are any in our tiny area and there’s not, but there are several in the county north of us. I’ll be sharing with all my local friends who have children. Thanks for sharing with Thankful Thursdays, I hope to see you again next week.